Being an allergy parent, and having a little one with Cow’s Milk Protein Allergy (CMPA) or other allergies can be really tough. It can be isolating, scary, and pretty overwhelming. You will often have questions, and sometimes you will struggle to find the answers, or not even know where to look. This Frequently Asked Questions page is designed to point you in the right direction. Whether you are at the beginning of your CMPA journey and you’re questioning if it even is a dairy allergy you’re dealing with, or if you’ve confirmed CMPA ages ago but suddenly there’s something you need to know, you will hopefully find the answer here. I’ve tried to split the FAQs into sections but it’s hard to categorise them, and you really will benefit from reading all the pages. Save this page to come back to when you need some more answers or if you need to show the info to someone else. All the pages are updated regularly, and I will be adding more and more as I think of more questions that mums often ask me. 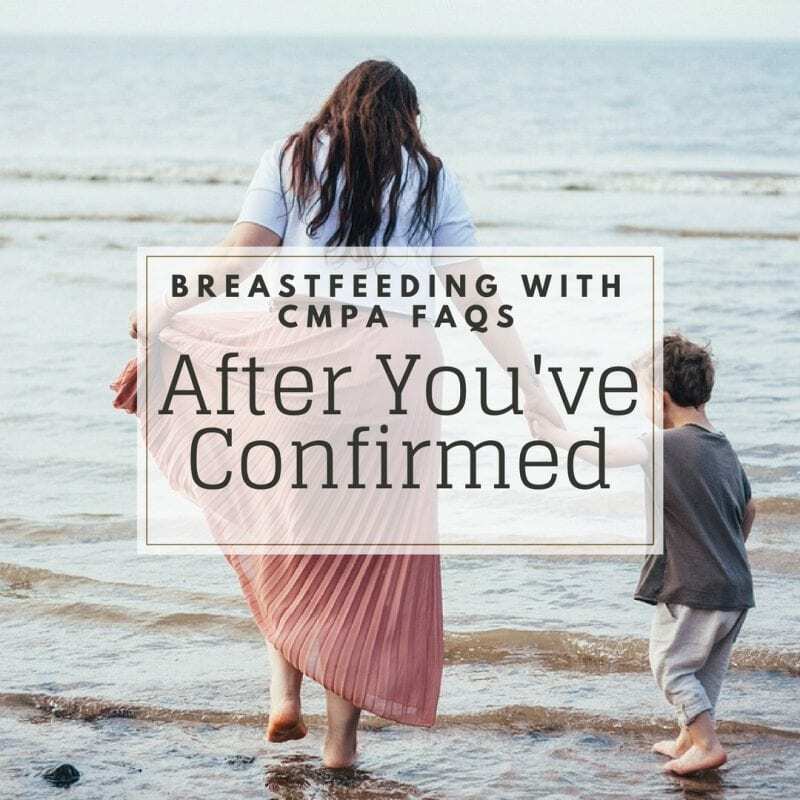 Don’t forget to take a look at my other breastfeeding with CMPA resources, including the dairy and soya free treat list, the post on confirming CMPA, dairy free recipes, and loads more. Check out the breastfeeding with CMPA directory for a full list of resources and posts. And if you’re a breastfeeding mum of a child with food allergies do come join my online support group for even more answers and more support. Can I still breastfeed if my child has Cows Milk Protein Allergy? What about products that say ‘may contain milk’? 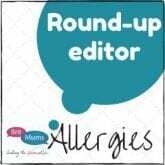 Will my child have other food allergies?